Metallica's WorldWired Tour will return to the UK for two outdoor gigs at Manchester’s Etihad Stadium and London’s Twickenham Stadium. 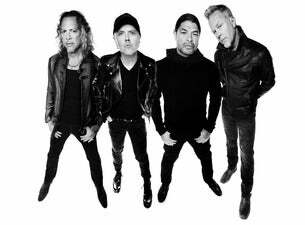 The new dates are Metallica’s first in the UK since September 2017 to May 2018 indoor run that broke attendance records in 29 venues across the continent. Special guests Ghost and Bokassa will provide support on all dates. Formed in Los Angeles in 1981, Metallica's early albums were uncompromising thrash-metal releases like 1983's Kill Em All, Ride the Lightning and the classic Master of Puppets. Tragedy struck the band in 1986, when bass player Cliff Burton was killed in a bus crash while the band was on tour. Jason Newstead was brought in to replace him and he remained until 2001. Their 2003 album St. Anger was hailed by many as a blistering return to form, along with triumphant festival appearances like 2004’s Download Festival. In 2008 Metallica released the album Death Magnetic, which topped the charts in the US and followed suit in many countries around the world. In 2009 the band was inducted into the Rock and Roll Hall of Fame. Metallica’s latest studio album is 2016’s Hardwired... to Self-Destruct. Over the years, they’ve released 10 studio albums as well as four live albums, five EPs and 37 singles. Metallica has also racked up numerous awards including nine Grammys. Today they are ranked among the most commercially successful bands of all time.